Canada has been constantly growing over the last few decades thanks to policies regarding Immigration. 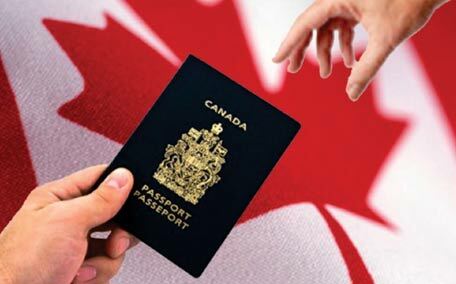 Recently, the Canadian government has made a strong claim that it wants to increase the amount of immigrants into the country, with a plan of bringing in one million new immigrants, from around the world, between 2018 and 2020. This plan will greatly benefit the economy. The new plan for immigrants means the potential for more businesses to open up and more skilled workers to come into Canada. The Economic program will try to bring in 2/3’s of the new immigrants; creating the opportunity for growth and the revitalization of the Canadian economy. By increasing the economic sector, of the country, Canada will be able to strengthen: social programs, improve basic infrastructure and help out citizens in general –a growing economy is a healthy one. Family Reunification will bring in: spouses, partners, children, parents and grandparents. The long term prospect of this program will strengthen Canada by providing a foundation for the Children. By bringing in extended family they will be better able to help out the parents in raising the children which will enable the immigrants to continue working. Spouses, after settling in, will be able to look for jobs and thus improve the financial situation for the family. Refugee Program: is Canada’s humanitarian approach of relieving people from the hardships they face in their own countries. While the increase of new immigrants is favourable, the government of Canada needs to ensure that all of the newcomers coming into social programs get the support they need in order to succeed. Flooding Canada with waves of new immigrants won’t help out the existing ones, when the lack of infrastructure can barely support the ones we have. Thus, for proper integration into the Canadian community the Government will need to provide more support for new immigrants. Some merit does stem from Rempel’s argument; however, the long term forecasting plan will allow provincial governments to plan for the future and set aside the required assets necessary for the successful integration of new Immigrants. The Government will need to help out the newcomers and ensure the success of their integration which will lead to a vigorous and fruitful future in Canada.